Be the first to share your favorite memory, photo or story of Deborah. This memorial page is dedicated for family, friends and future generations to celebrate the life of their loved one. Age 67 of Laingsburg, passed away Sunday, October 28, 2018 at the Hospice House of Shiawassee County. Funeral Services will be held 2:00 pm Friday, November 2, 2018 at Nelson-House Funeral Home with Reverend Ray Strawser officiating. The family will receive friends at Nelson-House Funeral Home on Friday from 12:00 pm to 2:00 pm. Deborah was born October 14, 1951 in Lansing, the daughter of Robert and Helen (Rowley) Miller. She graduated from Owosso High School; Class of 1969. Deborah enjoyed playing cards, bingo, her pool league and she loved going to the cabin with her friends and family. She retired from the Shiawassee Council on Aging in Durand where she was the cook. She also worked for Sandie's Catering, Midwest Abrasive and Montgomery Wards. 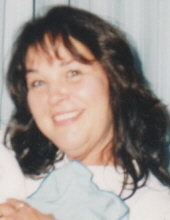 Deborah is survived by her children Lori (Mike) Gonyea, Todd Wright and Ali Roper; grandchildren Noah and Carly Gonyea, Kelsey Wright, Hailey Godfrey, Robert Wright and Riley Clover; great-grandchildren Carmello and Nolan Scott; special friend Al Roper; and many other loving family and friends. To send flowers or a remembrance gift to the family of Deborah Sue Miller, please visit our Tribute Store. "Email Address" would like to share the life celebration of Deborah Sue Miller. Click on the "link" to go to share a favorite memory or leave a condolence message for the family.